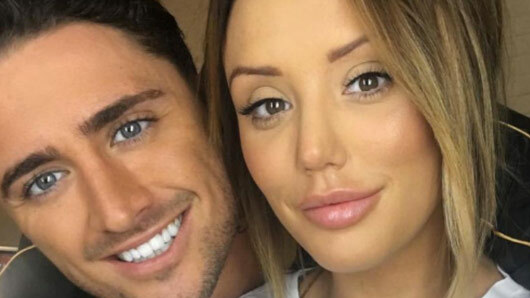 Former Geordie Shore star Charlotte Crosby has finally spoken out in response to romance rumours linking her to Stephen Bear. Following the filming for new MTV series Just Tattoo of Us, speculation over a potential romance between Charlotte and Stephen was sparked when the pair started to post numerous pictures together online. However, Charlotte has now shut down such allegations after insisting that she is just “good friends” with the Ex On The Beach star. She told Heat Magazine: “We’re just very good friends. Just good friends. We spent a lot of time together, but that was just filming 16 hours a day for Just Tattoo of Us. There may not be a relationship on the cards, but Charlotte did admit that she found her co-star attractive. She admitted: “He is very funny, and he has a lot of charm. Just Tattoo Of Us premieres soon on MTV and promises to put relationships to the ultimate test. Contestants on the show will have to trust their loved ones to design a tattoo for them and they will not be able to see the final result until it has been officially inked onto their skin. …This could potentially get very awkward! Just Tattoo Of Us premieres soon on MTV.